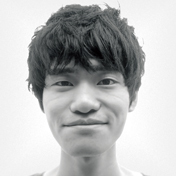 Hello, I’m Zac Fukuda, a graduate of Tokyo Polytechnic University in Digital Media Technology. I am a freelance graphic designer/web developer based in Tokyo area, working from Atami, Shizuoka. I learned web design at Digital Hollywood taking a 6-month course, as I was taking full-time classes at the college. Graphic design is taught almost by myself. Without getting a full-time job right after finishing the degree program, I flew over to Vancouver, BC for a year as on Working Holiday. For the first two months in there, I had taken the summer internship program at University of British Columbia, which was opened to international students. As a junior web designer, I interned at the movie production company called GFZ Studio and worked on their website. Having completed the summer program, I got a job for web designer’s position at Japanese school agent COS Vancouver, and I created three Wordpress websites: one corporate website and two media websites. I worked there until the expiration of my one-year visa. I’ve been freelancing since I was back from Canada to Japan. Besides my career, the whole Vancouver experience gave me a lot and made me become a vegetarian on March 5 2014. I still eat egg and cheese, drink milk, but no meat and fish.